 After graduating from Gordon, Schuyler headed south to Nashville, Tennessee. 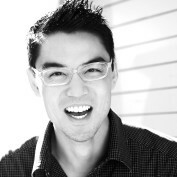 He joined his brother Will to co-manage a social enterprise start-up. Salemtown Board Company builds handmade skateboards and employs youth from inner city Nashville. The mission is two-fold: equip customers with high-quality gear and mentor kids from the Salemtown neighborhood. The brothers desire is to build a business that is a blessing in their community. Through this experience, Schuyler has already seen the impact of his internship at Return Design (a student design agency on campus). "Return Design really taught me how to start from scratch. That serves as an extremely valuable lesson to me now in the start-up world where things change everyday and the message I am building through my design needs to be tailored for different audiences." 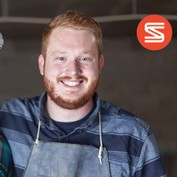 Schuyler's work has helped Salemtown Board Co garner national attention from CNN, Fox, CBS, and others. As the brand continues to grow, the brothers seek new opportunities to serve as a positive influence in their community. I am currently the Associate Art Director of Advertising and Packaging at Smashbox Cosmetics in Los Angeles. My workplace is very modern, fast-paced, innovative, and exciting. I love that I am able to utilize my design, illustration, and photography skills on a daily basis. Since graduating from Gordon, my personal body of work took a very unexpected turn towards photography. I have been extremely blessed with success in wedding photography and was even published in the 2010 edition of REAL SIMPLE WEDDINGS. I am hoping to take a break from photography soon and dive into a series of abstract oil paintings. 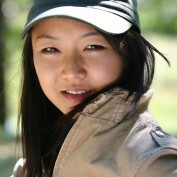 After graduating from Gordon, Michelle spent several years working for the Gordon in Orvieto program. Upon returning to the U.S. she received a Post-Baccalaureate Certificate from the School of the Museum of Fine Arts and an M.F.A. in Painting at University of New Hampshire. Michelle’s paintings, drawings, and prints of interior and exterior spaces (architectural spaces, landscapes, and some figurative work) are heavily influenced by the several years she spent living and working in Italy. In addition to numerous private collections across the U.S., her work can also be found in several university collections. In the fall of 2009 she was visiting faculty in painting for Gordon College’s study abroad program in Orvieto, Italy, and currently teaches painting and drawing at Chester College of New England. "The Gordon Art Department has a wonderful student-mentor relationship. The professors make themselves available as professional artists for students to ask questions about the professional art world. Personally, the professors helped me extensively with my graduate school application and I appreciated all their input." Esther was accepted to the New York Academy of Art; the two-year program is the only graduate school in the United States devoted exclusively to the study of the human figure. She has chosen not to attend NYAA this fall, but will be returning to Korea to be with her family and continue making art. Eric Jacobsen was born in Hartford, Connecticut, in 1966. He is a graduate of Gordon College and the Lyme Academy of Fine Arts in Lyme, Connecticut. Inspired by the light and landscape of the Pacific Northwest, Eric and his wife Kristen moved to Southwest Washington in 1998. 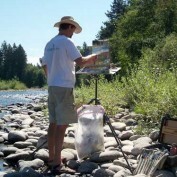 Since that time he has avidly hiked, camped, explored, and painted "en plein air" some of the most beautiful and remote areas of Oregon and Washington. For a young artist, Eric Jacobsen has received a great amount of recognition. He received the Robb Sagendorph Memorial Award from the Copley Society of Boston, and was accepted as a member. The Copley Society of Boston is America's oldest and one the more prestigious art associations in the country. Jacobsen also won the John Stobart Fellowship award for students in transition from art school to life as a professional artist. He has received numerous other awards and prizes for his painting in New England, and he has been mentioned in articles in "American Artist" magazine. He is represented in galleries across the USA. During my junior year as a philosophy major at Gordon I did something rather rash. With little formal training in the visual arts or its history, I decided that a valuable and sensible (although not necessarily logical) next step in my education would be to spend a semester abroad through Gordon's program at Orvieto, Italy. Perhaps due to the nature of intercultural experience, my time in Italy proved to be as much of a challenge philosophically as artistically, although while enrolled in the program I pursued a rigorous independent study course in drawing. Fueled by the first-hand cultural and intellectual challenges of the semester in Orvieto, my senior year as a philosophy student was especially rewarding. I composed my senior thesis on a topic in aesthetics, thus continuing the process of integrating philosophical reflection with my burgeoning interest in the arts. Unfortunately, I proceeded to make yet another rash decision. I determined to apply to an MFA program at the New York Academy of Art, and, to my own astonishment, found an acceptance letter loitering in my mailbox. When I matriculated to the New York Academy of Art, I rapidly discovered that I was now a smaller fry than ever before. I had significantly less experience as a painter and draftsman than nearly all of my peers. While attempting to overcome this technical disparity, I found consolation in the company of old friends, writings by favorite philosophers and a book of Psalms that has now traveled hundreds of miles on the MTA. In hind sight this deliberate maintenance of my liberal arts education at Gordon proved to be the quality that gave me a unique edge. Over time as the technical gap lessened, I discovered that the approbation I received from faculty and peers often corresponded more to my commitment to discerning sources of meaning in imagery than my developing technical skill. It wasn't until later that I learned that the academy specifically encouraged students applying from liberal arts backgrounds precisely for this reason. It would be nice to say that my rash choices stopped here. Recently I responded favorably to an invitation to teach a drawing course to college students who are not art majors but students of the humanities. Believing that this apparent handicap was in fact an asset in my own education, I decided to rush in where even the wiser and more well equipped might fear to tread. 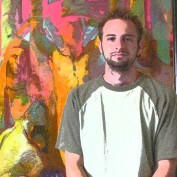 Truitt Seitz is a painter who is currently teaching part time for the Art department at Gordon College. 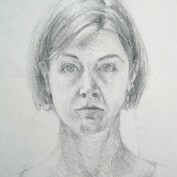 He has shown work in New York and the greater Boston area.